You might not believe how easy woodworking can be when it comes to home construction… so take a look and see if you've got the necessary wood skills to knock-up your own home. Prefabricated homes aren’t for everyone, and understandably so, as they are usually small and box-life and hence, incapable of providing sufficient space for a large family. 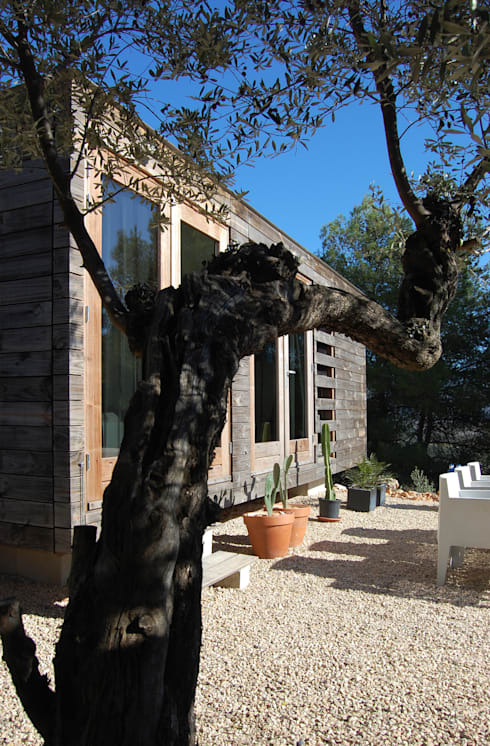 However, they are economical and easy to construct, and some homes such as this one that is made from wood panels and boards, have the charming look and cosy feel of a log cabin but with a modern minimalist design in the interiors. 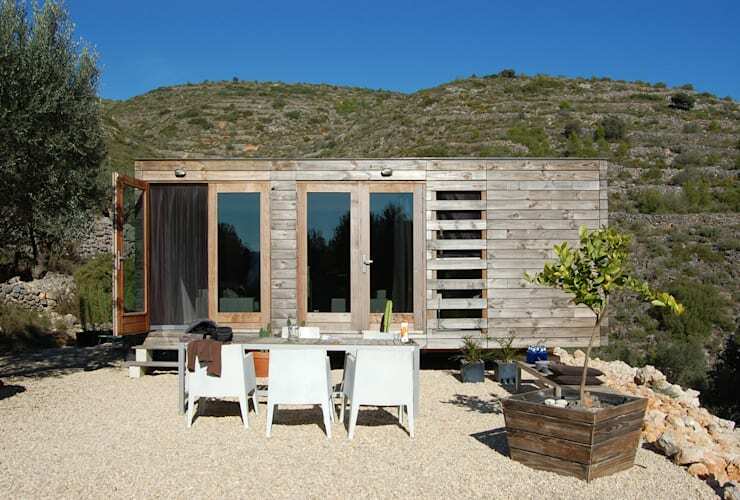 Let’s take a tour of this prefab home in Alicante that was built for a young couple by Architects DMP Arquitectura. 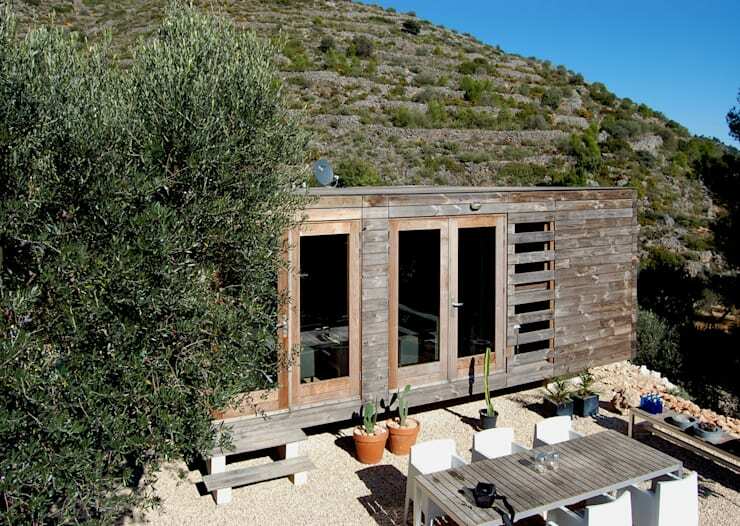 The house was not only built cheaply, but is also eco-friendly as it blends beautifully into the surroundings of the mountainside upon which it is located. This is the photograph of the lovely wooden house after it was built. Notice how the unpolished wood finish of the exteriors makes it look like a natural addition to the mountainside? You can see how wood is used in every stage of this home’s construction. 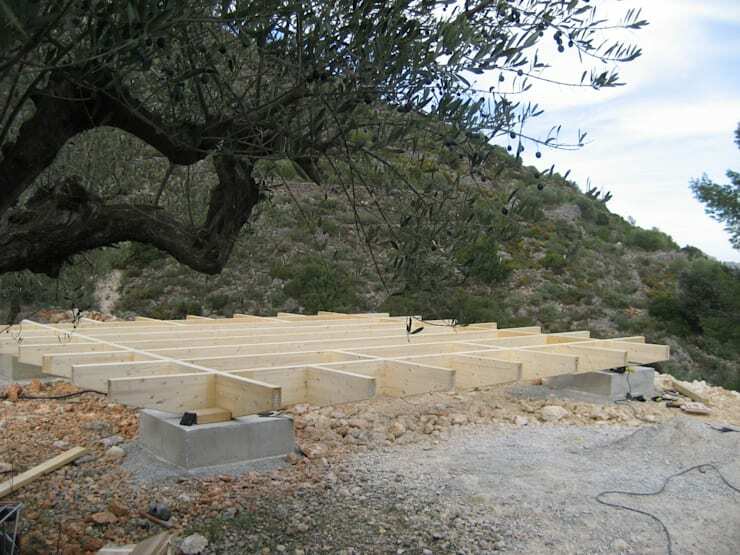 The foundation comprises reinforced concrete pillars embedded into the ground. 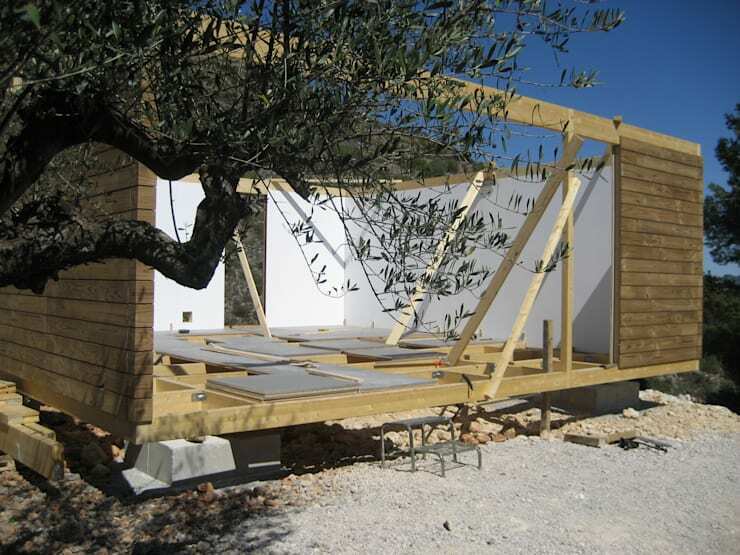 A grid of wood beams rests upon the concrete pillars to form the base of the home. 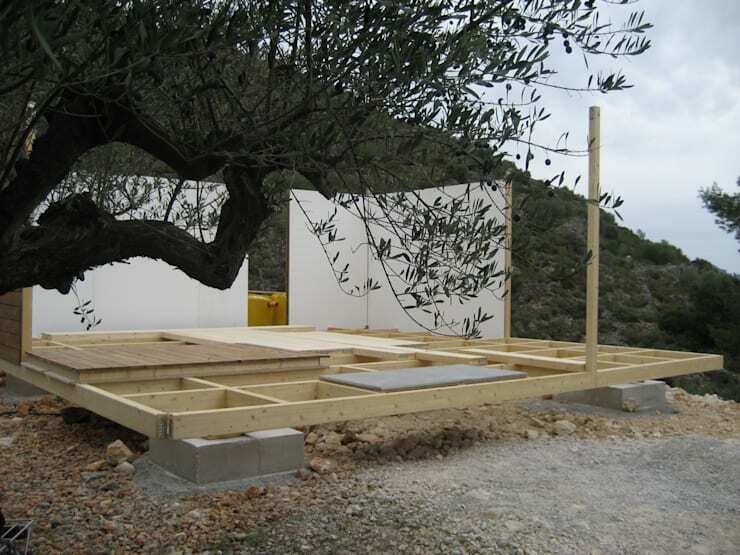 Panels are placed upon the grid to form the floor, while vertical beams that are joined to the grid hold up wall panels to create the exterior walls as well as the partitions inside the home. The exterior walls are almost complete, but the interior looks like one large hall. Can it really accommodate a living room, study, kitchen, bathroom and bedroom? Glass doors are attached to the frame to complete the home. Now let’s take a bird’s eye view of the home after it’s complete. This is the view of the home after the steps leading to the main door as well as the exterior landscaping is completed. Pretty as a picture, isn’t it? One look at the living room and you’ll understand the need for the glass doors, which bring in the sunlight to keep the home warm and cosy, while simultaneously framing the view of the greenery in the surroundings. 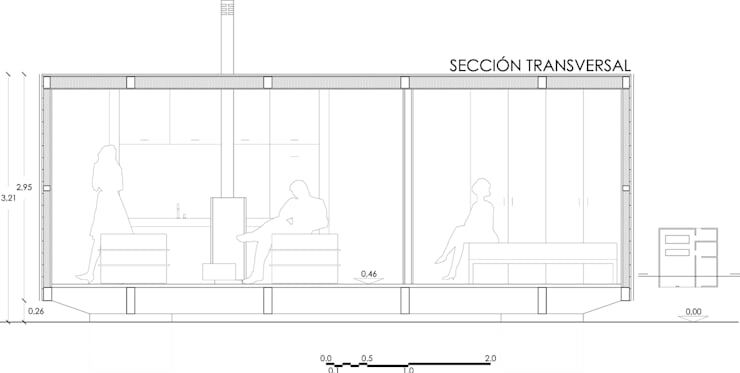 The seating is arranged so that you can enjoy the scenery from wherever you chose to sit. The bedroom is large enough for a double bed. Since it’s enclosed by wooden walls, which tend to make the interiors dark, the design incorporates a slatted wood panel outside the glass, which lets the sunlight trickle through to add brightness to the room. It also creates an interesting play of light-and-shadow. The bathroom is minimalist, but is efficiently designed to include maintenance-free features such as a wall-mounted countertop that makes it easy to clean underneath it, as well as separate flooring materials in the wet and dry areas of the bathroom. A glass partition in the shower area prevents water from splashing into the rest of the room. The floor plan explains the layout of the home better. 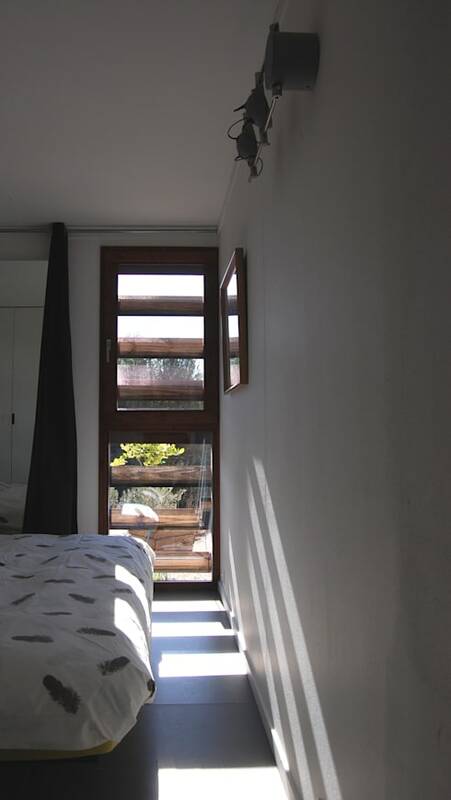 The rectangular structure is divided into two, with the open-plan living, dining and kitchen on one side and the bathroom sandwiched between the bedroom and the study. 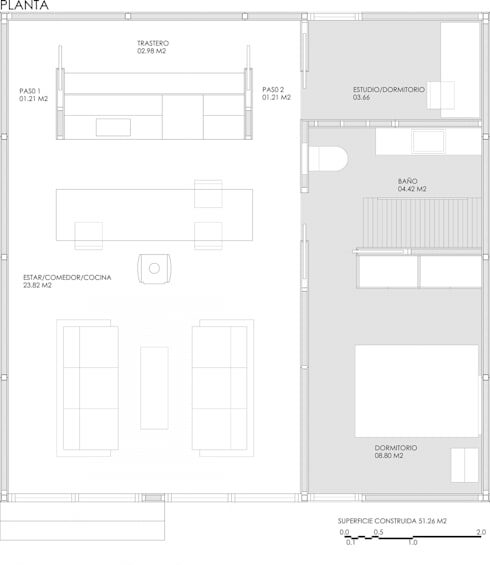 This floor plan presents a better idea of how the wall between the living room and the bedroom extends all the way to the back of the home to separate the common areas from the private spaces. 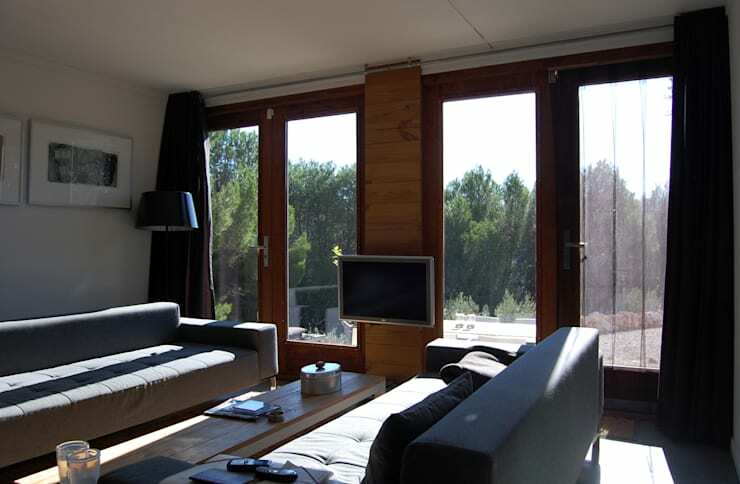 Notice the layers of panelling and frames used on the walls and floors to create insulation and strengthen the home. We conclude our tour with a final view of the house, this time from the side, to appreciate the fact that economically built and eco-friendly houses can be gorgeous too! 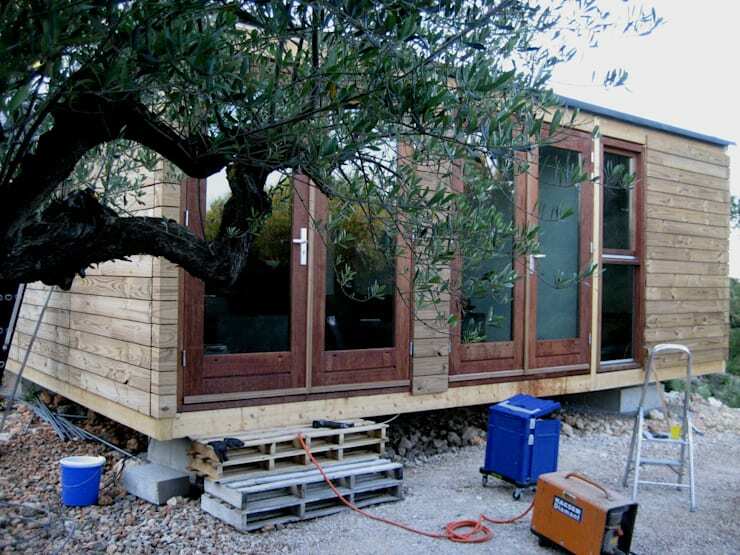 See this ideabook for another eco-friendly prefab home.